This year Aussie Millions Main Event had a field of 822 players. That is the biggest field in this tournament so far. The winner is a US pro – Bryn Kenney who took down AU$1,272,598 ($923,269 US). Mike Del Vecchio made another great score by finishing at the 2nd place. To remind you, he was the 5th on the last year’s main event. This year he had a very good opponent in the HU who has a great experience and success in the tournaments so far. Two of them made a three-way deal with Andrew Hinrichsen, which made them a 7 digits winners in Australian dollars! But at the end, Bryn Kenney was the best and he took the biggest prize and the trophy! With this win, Kenney is now at the 9th place of the All-Time Money list with $26,623,758 in career earnings. 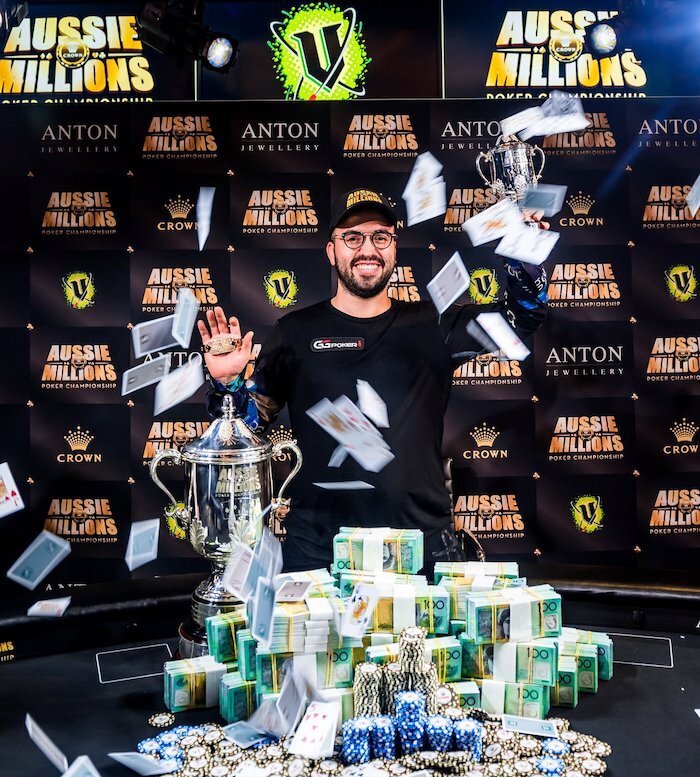 The 2019 Aussie Millions Main Event Title is his 17th career live title!